John graduated high school early and started working on the O C boardwalk that summer. His father paid for half of his college tuition and John the other half with money earned from drawing caricatures. This is how he paid for his entire time at Maryland Institute College of Art. 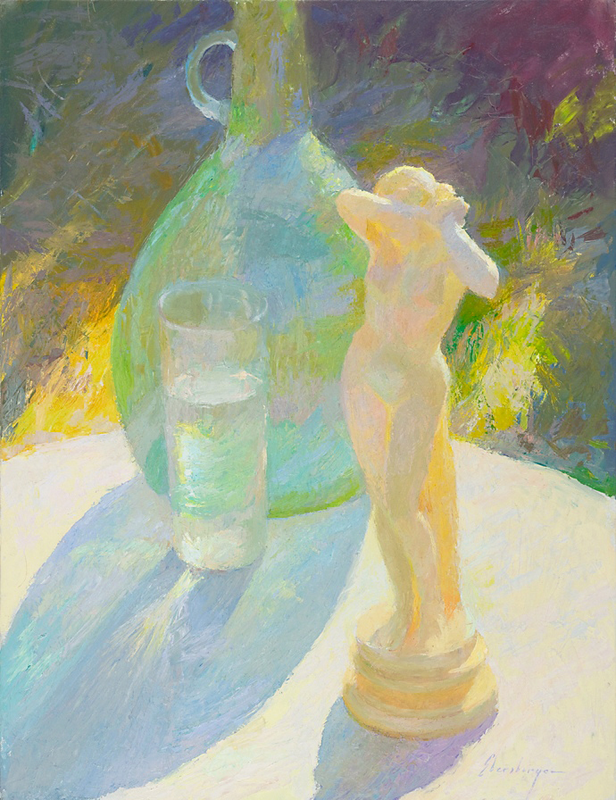 Soon after graduating he met Cedric Egeli, a prominent national portrait artist, and began training with him at Maryland Hall for the Creative Arts in Annapolis. His wife Joanette, a portrait artist herself was also a great help and Cedric’s father came out of retirement at age 90 to teach classes. At this time Cedric persuaded several of his students to travel to Provincetown to study with Henry Hensche. “My first impression was that he looked like a guy that worked on boats - a wiry old fisherman. When I first heard him talk about art . . .my next thought was that here was the “real deal”. . . In Hensche you have one of the finest colorists the world has ever known . . . (I can prove it to you if you have the time to sit through a slide show). While studying with the master, John made a living by drawing at malls and entertaining at events. 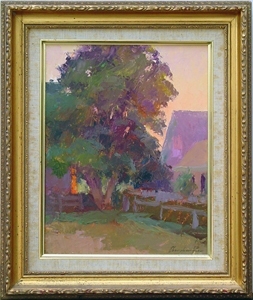 In 1984 Cindy McBride invited John to show his Impressionist landscapes in her gallery on Main Street in Provincetown, thus launching his illustrious painting career. John now paints, teaches classes and workshops and draws occasional cartoons for the Mid-Atlantic Plein Air Painters Association. He was awarded the Certificate of Excellence by the American Society of Portrait Artists in April 2008 for his portrait “MacKenzie” and has garnered many national and regional awards. His work and articles have appeared in The Artist’s Magazine, American Artist, American Art Collector and Workshop Magazine. 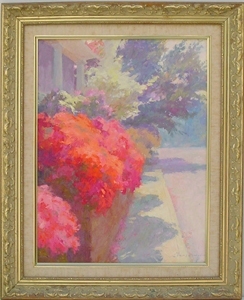 Books containing John’s work include Capturing Radiant Color In Oils by Susan Sarback and Painting The Impressionist Watercolor by Lee Boynton.